The use of self-levelling compounds for LVT and vinyl flooring installations has become commonplace thanks to designers, contractors and clients wanting a perfect-looking floor. While many flooring installers now offer this essential preparation as part of their solution, there is still a lot of uncertainty when it comes to contractors wanting to specify the right product for their application. Alistair Mac Dougall, Sales Manager at iTe Products, says to achieve efficiencies in flooring installations as well as high quality results, it’s crucial to understand the performance attributes of floor screeds available on the market. Older generation so-called self-levelling compounds have low levels of polymer and need smoothing out to achieve a flat surface. They are also slow drying, which can delay installation of vinyl flooring by days and lead to missed deadlines. These compounds also need to be ground by a sanding machine or grinder as the final finish is only achieved this way. Some of the more modern self-levelling screeds have impractical limitations such as water temperature requirements that are difficult to achieve on a building site or that prevent work during colder conditions. Most have a very fast initial set which makes the use of a pump in large areas important to prevent dry joins. LEVELiTe from iTe Products has built-in features that can make the application process much smoother. This product has water temperature tolerances from 5 to 35˚C, double the effective working time, to enable spread and applications without the need for pumps or the problem of dry joins; a surface that can be walked on two hours after application; the ability to install vinyl flooring within 24 hours of application; a surface that needs no grinding or sanding; and it is designed to absorb and bond to adhesive, among other important attributes. The system of products developed by iTe Products has been created to address all the requirements of a successful vinyl flooring installation. 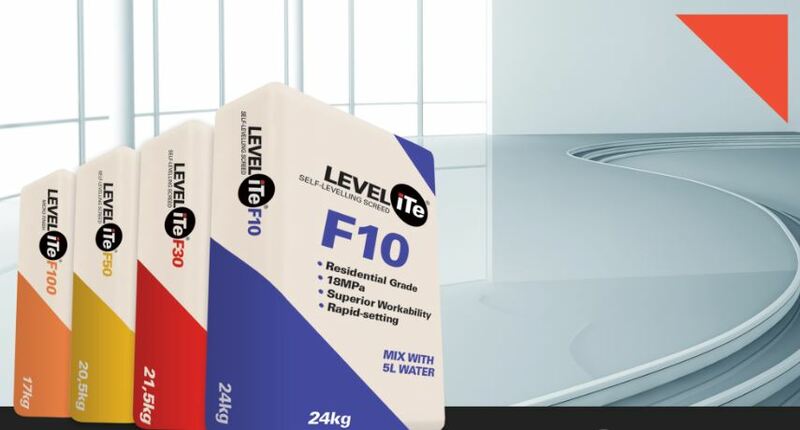 These range from VAPORiTe moisture barrier, different grades of LEVELiTe from the F10 for residential applications through to F100 for micro finishes, PATCHiTe patching compound designed to provide rapid drying solutions for small holes in screeds, to a complete range of flooring adhesives for virtually all types of flooring and their installation. The products are solvent-free, healthy to use for the applicator and our environment, and in the case of our GRIPiTe C60 water-based contact adhesive, absolutely safe. Speak to the professionals at iTe Products for more information.